Another great announcement from CBB Book Promotions. 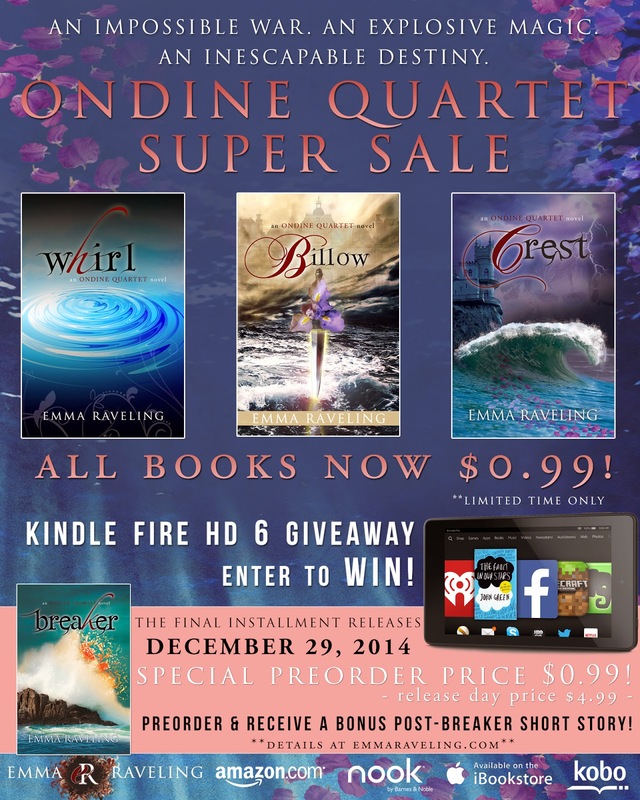 Be sure to enter the giveaway for a Kindle HD! I’m heading over to Amazon right now to pick up copies of these novels to add to my very long list. through high school and keep others away.Because being an ondine also means keeping secrets. But as Kendra uncovers the truth about her heritage and future, she realizes just how deep the lies and deception run. Now, in the face of unthinkable odds, she will need all her wits, skills, and magic to fulfill an extraordinary prophecy. The first in a sweeping urban fantasy series, Whirl is the beginning of a young woman’s exhilarating journey for survival, ove, and hope as she fights for her place in a world where she doesn’t belong. 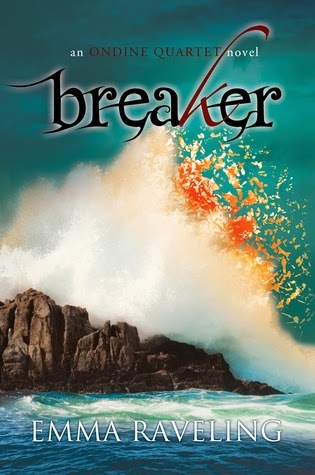 Pre-order Breaker now at the special 0.99 cent pricing and receive a bonus post-Breaker short story during release week! This short story will not be available anywhere else for six months after Breaker’s release. Emma Raveling writes a wide variety of fiction for teens and adults. She is the author of the young adult urban /contemporary fantasy series, the Ondine Quartet, and Lost Blood, the first installment of the forthcoming young adult urban fantasy series, Chancer. She’s also working on the first book in her new Steel Magic series for adults.